The IRS may issue Form 12257 after an appeals hearing. Form 12257 provides a summary of the determination made by the IRS Appeals Office. Further, by executing the form, you may be waiving certain rights regarding the issue and matter at hand and thus it is important that you agree with the determination made by the appeals office, and understand what you are signing. The video below has been prepared by John McGuire, a tax attorney in Denver, Colorado with The McGuire Law Firm to provide additional information regarding Form 12257. 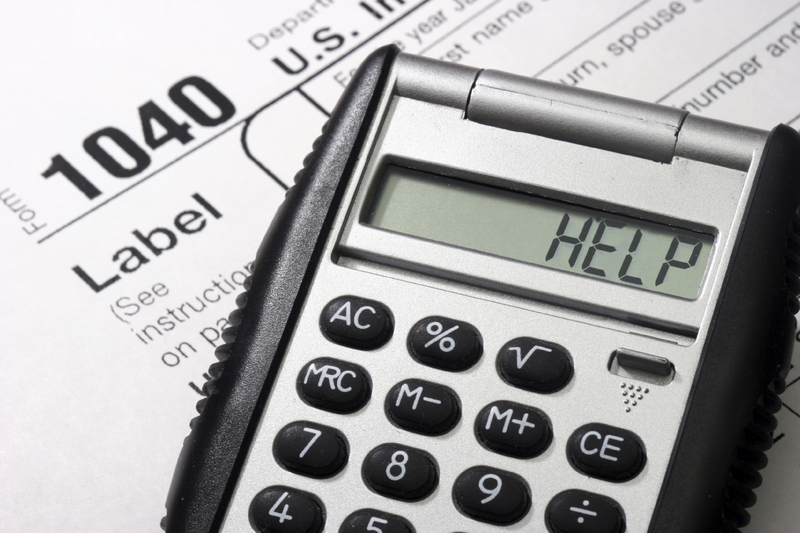 You can speak with a tax attorney by contacting The McGuire Law Firm. FinCEN (Financial Crimes Enforcement Network) has recently been investigating and examining businesses involved with virtual currencies such as Bitcoin. In fact, on May 5, 2015, FinCEN announced the first civil enforcement action stemming from a virtual currency provider. FinCEN and the United States Attorney General Office for the Northern District of California assessed a $700,000 civil penalty against Ripple Labs, LLC and a subsidiary for violation of the Bank Secrecy Act (BSA). The applicable businesses apparently did not comply with requirements regarding an anti-money laundering policy as required under the Bank Secrecy Act. Furthermore, penalties were assessed for failing to report suspicious activities (Suspicious Activity Reporting) in regards to certain transactions. Compliance with the BSA helps safe guard financial institutions and thus the American people from illegal motives, which is why certain institutions must have anti money laundering policies and other compliance and reporting requirements. The failure of an institution or business to comply with the BSA can lead to civil penalties and possible criminal charges. When civil penalties are assessed, the Internal Revenue Service has been delegated the authority and responsibility to collect the amounts that have been assessed. In regards to the benefits of the applicable regulations, it is believed that certain reporting requirements have helped prevent and detect criminal activity related to illegal drug trafficking, terrorism and other illegal activities. If you are involved with or are considering involvement with a virtual currency business, it is recommended you become aware of the record keeping, reporting and other compliance measures required by the Bank Secrecy Act and other acts implemented for similar purposes. Such compliance issues may include an Anti-Money Laundering Policy (AML), Suspicious Activity Reporting (SAR), Know Your Customer and other programs and procedures. The filing of a federal tax lien by the Internal Revenue Service creates many issues and questions when property is held jointly. Related issues can arise when the Internal Revenue Service files a tax lien against a party, and the party holds an interest in property but the other owners of the property have no such tax lien. The issues can be further compounded by state law matters such as community property and joint tenancy, tenancy in common and tenancy by the entirety. Joint tenancy will be discussed below. A joint tenancy is created when two or more people become the owners of property and the ownership is equal and undivided, and when the interest of each tenant is created through the same conveyance at the same time and the interests are equal. You may have seen a right of survivorship stated within a joint tenancy or the JTWROS, which means joint tenancy with right of survivorship. Generally, a joint tenancy will have a right of survivorship and under this right of survivorship, when one tenant passes away, the surviving joint tenant or joint tenants will automatically own a greater portion of the property. For example, if A & B own Blackacre Properties as joint tenants with right of survivorship. If A passes away, B is now the sole owner of Blackacre Properties. It is important to note that certain states have removed the survivorship issues from joint tenancy, and thus check the applicable laws within the applicable state. So how does an IRS tax lien impact property held in joint tenancy? Typically, if only one of the joint tenants owes taxes and thus the tax lien has been filed against only one of the joint tenants, the lien attaches to the taxpayer’s interest and thus the entire property, which can be sold pursuant to collection action such as a judicial sale under Section 7403 of the Internal Revenue Code. However, the non-liable joint tenants, those tenants who have not had the tax lien filed against them, are required to receive compensation from the sale of the property. What if the joint tenant were to pass away? Under most states, if the person whom the tax lien has been filed passes away before the other joint tenants, the tax lien will cease to attach to the property held in joint tenancy. What if such individual is the last to die? If the individual with the tax lien survives all other joint tenants, the tax lien would attach to the entire property. Of course, there are exceptions to this rule and you must check the applicable state law. If you have questions related to the impact of a federal tax lien on your individual or business property, you can speak with a tax attorney and business attorney by contacting The McGuire Law Firm. The McGuire Law Firm provides a free consultation with an attorney to discuss your tax and business matters. Form 114 is the form used to report financial interests or signatory authority over foreign financial interests as required under the Report of Foreign Bank and Financial Accounts. The form is filed yearly, and electronically with the Financial Crimes Enforcement Network (FinCen). It is important to note that Form 114 is filed separately from your 1040 individual income tax return. Moreover, certain penalties apply for not filing the Form when you would be required to do so. The video below has been prepared by a tax attorney to provide additional information regarding Form 114. Speak with a tax attorney in Denver, Colorado or Golden, Colorado at The McGuire Law Firm regarding your tax questions and issues. There are certain requirements for the reporting of Foreign Bank and Financial Accounts, also referred to as FBAR. Recently, I was asked, where did the Department of Treasury obtain authority to require such reporting and obtain information on certain accounts those holding signature authority or an interest in such account. The Bank Secrecy Act (BSA) is the act that gives authority to the Department of Treasury to require reporting and the compilation of information. The video below has been prepared by John McGuire, a tax attorney in Denver, Colorado at The McGuire Law Firm. If you have questions regarding your requirements to report foreign accounts or assets, contact The McGuire Law Firm to schedule a free consultation with a tax attorney in Denver, Colorado. How do I extend the filing of my tax return? What form do I file with the Internal Revenue Service to file for an extension on my tax return? As a tax attorney, these are common questions I hear from individuals, especially as the April 15th tax deadline gets closer and closer. The article below discusses the filing of an extension with the Internal Revenue Service. Ok, so perhaps you procrastinated, or perhaps you are waiting on a K-1 from a partnership, S Corporation or trust, but the bottom line is, you are not ready to file your 1040 individual income tax return with the IRS, and you need to file an extension. An extension is filed with the IRS by filing Form 4868, which must be filed on or before April 15th. The filing of Form 4868 will give you another six months, until October 15th to file your 1040 individual income tax return. That being said, what information do you need to complete Form 4868? To complete Form 4868 you will need your name, address, social security number and if married, your spouse’s name and social security number. In addition, the form will ask for information related to what you estimate on your tax return. For example, the form will ask what your estimated tax liability or amount of tax due will be, and if you are enclosing payment with the form. If you think you will owe tax for the year, you should include payment with the form so as to prevent the accrual of failure to pay penalty, which brings up another important point. 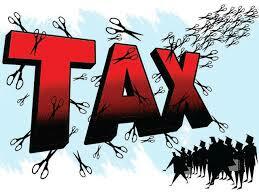 Many people think that filing for an extension to file the tax return is an extension to pay the tax due. This is incorrect. The filing of an extension is only extension to file the actual 1040 individual income tax return, and is not an extension to pay the taxes that are due. Yes, that taxes are due on April 15th regardless of whether you file an extension or not. Thus, if you file for an extension, and then later file your return on or before October 15th and you owed tax per the tax return, the IRS can assess you the failure to pay penalty on the amount of tax due from April 15th moving forward. Therefore, making a payment with your tax return extension will either prevent the failure to pay penalty from accruing, or lessen the penalty as the failure to pay penalty is based upon the amount of income tax that was due on April 15th and not paid. Thus, if you cannot file your individual tax return by the April 15th deadline, it is best to file Form 4868 with the IRS, and make a payment with the filing of the Form based upon an estimated amount of tax due. 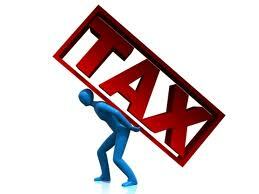 You can contact a Denver tax attorney at The McGuire Law Firm if you have additional tax related questions. Schedule a free consultation with a tax attorney in Denver Colorado or Golden Colorado by contacting The McGuire Law Firm. Receiving a levy from the IRS, whether it is an IRS bank levy or IRS wage levy is frightening, upsetting and can create a financial disaster. If you owe taxes to the IRS, there are ways to stop an IRS levy. The video below has been prepared by a Denver tax attorney to provide additional information related to stopping the IRS from levying your bank account or levying your wages. 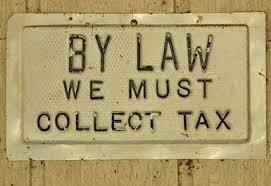 If the IRS has levied you, contact The McGuire Law Firm to discuss your options and rights as a taxpayer. Contact The McGuire Law Firm to speak with a Denver tax attorney. Free consultation! If you filed a tax return with the IRS married filing joint and you were unaware of the issues or matters that eventually lead to a tax debt with the IRS, you may be able to obtain relief from the IRS through innocent spouse relief. The video below has been prepared by a tax attorney at The McGuire Law Firm to provide additional information regarding innocent spouse relief with the IRS. You can contact The McGuire Law Firm to discuss your tax matters and IRS issues with a Denver tax attorney.